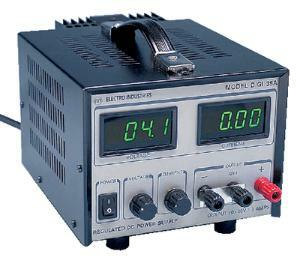 Reliable and versatile, these high-voltage power supplies have outstanding features including excellent regulation, low ripple and a built-ini digital LED voltmeter and ammeter. Constant voltage or current is provided along with protection from short-circuit, reverse polarity, and overload. A floating output permits use as a positive or negative source. Includes instruction manual.